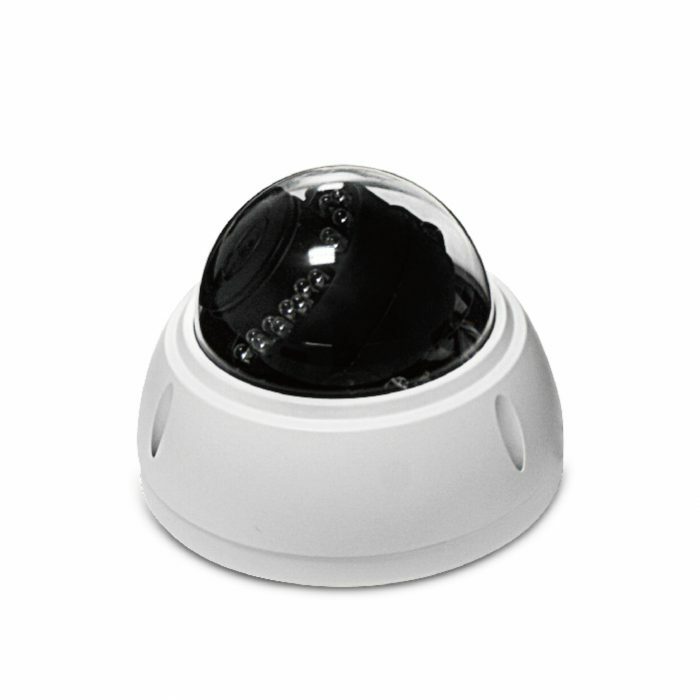 4MP 4X optical zoom PoE dome security IP camera, with night vision, motion detection, remote access, plug and play. Awesome camera!!! Clean looking, nice quality, great picture, easy to install, easy to use!!! You can use it with or without a NVR. 4MP is awesome!!! Only downside to this camera is no audio, a mic would be nice in some cases. If you need a Dome camera with audio, you may check the RLC-420. If there is anything we can help you with, please do not hesitate to keep us informed. is there any difference between as far as picture quality for rlc-422 and rlc-420? is the video and picture quality the same? Thanks for your interest in Reolink product. The video and picture quality of these two cameras has no difference, they are both 4MP. But the RLC-422 supports optical zoom while the RLC-420 does. This is my first IP POE surveillance camera so I am not very experienced with security systems. I installed the RLC-422 near my front door and wired it to my Netgear JGS516PE-100NAS POE switch. I am using a Synology RS815+ running Surveillance Station 7.2 for my NVR. Obviously you will need to tweak the settings to your needs or set up motion alerts, video quality, FPS etc.. I am very happy with the video quality of this camera. I am sure there are better but for the price these are great. My father has some comparable cameras that are slightly more expensive and slightly lower in video quality. I have mine set to record in 2560×1440 at 24 FPS. This configuration uses about 52GB per camera per day. The Synology helps you figure out how much space you will need to store your recordings with any given settings. I also can view this camera remotely from my smartphone using Synology’s DS Cam app. It streams very quickly and works great. I can even view past recordings if desired. I also have email notifications every time motion is detected. Overall I am very pleased with this product and very happy with the video quality. Setup was a breeze using a Synology. I would absolutely recommend these cameras to anyone looking for a DIY solution. Thanks for your review and video! Hope you may also share your experience with other users in our Community(refer to: /forum/), users would get more help from you. Also we have the Reolink Client on PC and Reolink App for smartphone, it would provide you a better experience with Reolink products. This camera is easy to install and the video quality is top notch. The image looks exactly like the bullet cameras. The mobile app works nicely too as all cameras are viewable from my phone. The NVR has no problems identifying the camera as part of the network. Construction seems to be very durable too….it would be very difficult for a vandal to destroy or disable this camera. One issues exists with condensation forming on the camera dome. This has persisted since installing the unit. I suspect the supplied o-rings do not form a complete moisture barrier. However, i have been in contact with tech support and they have been promptly communicating to fix the issue. Five stars hands down if they can help me with the condensation issue. Yes, the RLC-422 is also 4MP as RLC-410 and RLC-411. So the video quality should be top notch. 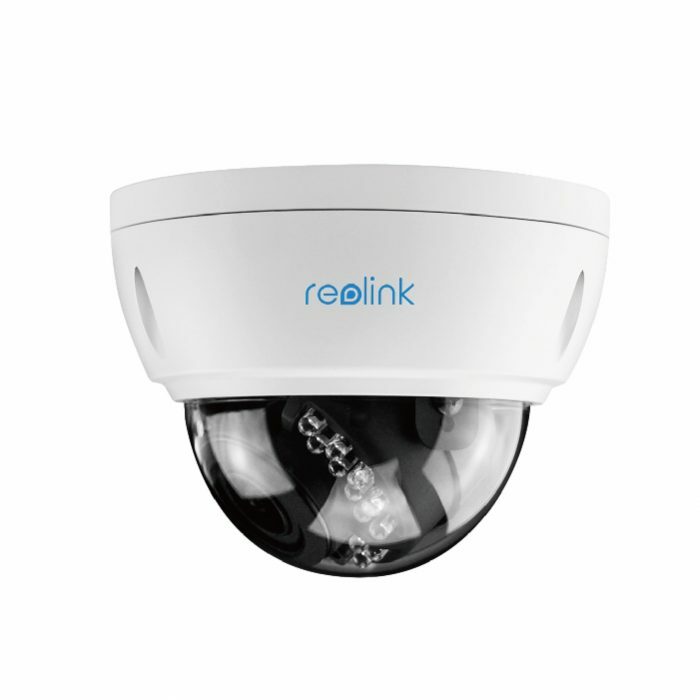 And to maximize vandal resistance, Reolink RLC-422 dome security camera is manufactured to meet IK 10 standard, which means Reolink RLC-422 camera can sustain up to 20 joules external mechanical impact and be rendered as highly vandal-proof. For the condensation, you may power on the camera for a while before you cover the dome to make the inner dry enough. If this method still cannot solve your problem, please kindly contact support@reolink.com for more help. Good choice! Works as outdoor camera without any problems so far. Large angle. Objektive is fix (no PTZ) but can be adjusted. Bought after having made good experience with RLC-423 model. Would buy again, waiting for new hot products from Reolink. You may refer to /argus/ for a Free Prototype of Reolink Argus! If not…can you recommend a dome to protect it? Can it remotely pan/tilt/zoom with your Reolink client software? The RLC-422 is an outdoor camera. It only support zoom (no pan and tilt functionality). If you need a PTZ camera for outdoor, you may check the RLC-423. Is there a list of different resolutions this camera supports? is compatible with Milestone XProtect VMS? Yes, the Reolink cameras support Milestone XProtect VMS. Just purchased one of these (Reolink RLC-422-P) to test with. Very well built, solid, heavy, metal. I am very impressed. This one will be installed above our front door once I upgrade our Cisco switch (SC300-20). I’ve had it a while and the manual said it supported PoE but alas it does not. Once the replacement unit arrives then this will be installed. If it goes has planned and works has many of the forums/sites and reviews say I’ll add a couple more. I would like a couple more to look out over the front and back of the house. Not sure if there is an indoor unit, small, that I could place on our book shelf, but I’d add one there too. Probably about 8 in all. Again, very well built on my initial box opening. Packed neat, orderly. Very solid unit. Only thing I couldn’t understand is why is there a power plug receiver (plug-in) on the cable harness. I see Ethernet/poe, reset, and that 5mm or so power adapter. I thought maybe to bypass PoE, which I tried, but that didn’t seem to kick on the unit. I ordered 2 cameras. Everything in the communication went very smooth. I will send a full report on the cameras when I will have received and installed them. Waiting for your report and if you have any question, please feel free to contact us as support@reolink.com. We have bought 19 of these cameras for our facility, and we have not had any problems with them. They were all very easy to install after the wiring was in place all that was required was to screw them to the wall or ceiling. I am confident that these cameras will stand the test of time as they have been made of metal and are of very solid construction. These cameras are ONVIF, so they worked well with our third party NVR. 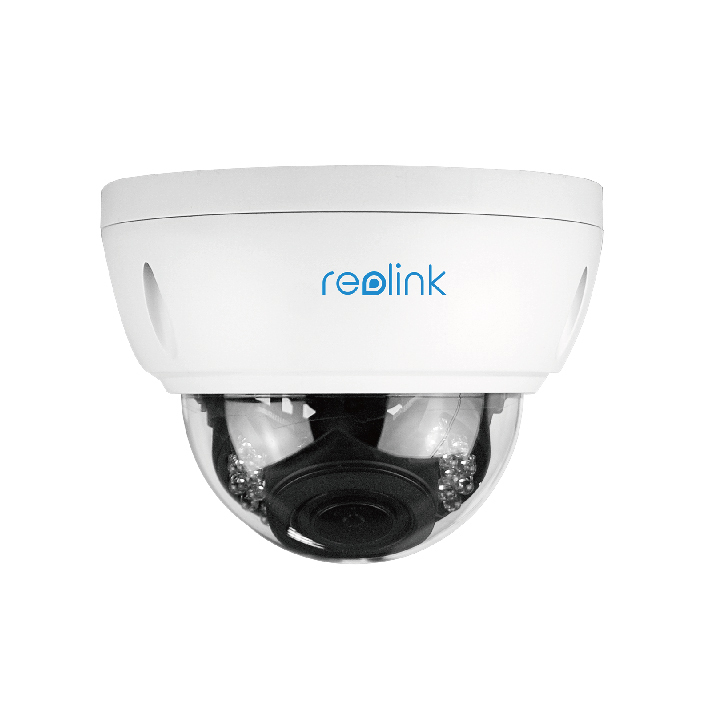 Unfortunately, Reolink does not make an NVR that holds over 16 cameras, or we would have purchased that one. 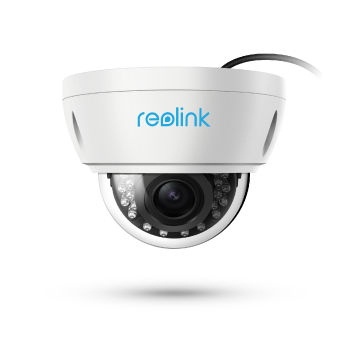 Reolink’s software made it very easy to configure the cameras on a separate V-Lan on our network by simply connecting to them from a remote computer and changing its network settings. The only complaint I have found with Reolink is that the software crashes when you get over 14 or 15 cameras on it, but I understand it was not made to hold more than that without an NVR (If they made one over 16 channels I would be first in line). Thanks for your review and understanding. 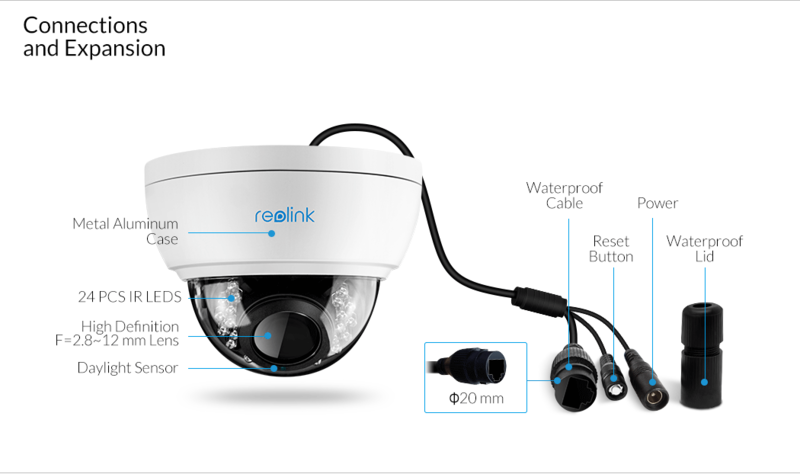 For more than 8 cameras, we suggest users to use the cameras along with a Reolink NVR. Also you may choose one 16 CH Reolink NVR RLN16-410 and one 8 CH Reolink NVR RLN8-410, then you may hold all of them. What PoE injector should I be using with the RLC-422 camera? Thanks! Hi Billy, the PoE standard for RLC-422 is 802.3af. Please kindly note. If there is anything we can help you with, please do not hesitate to keep us informed at support@reolink.com. Very well made housing, sturdy, high quality materials used. 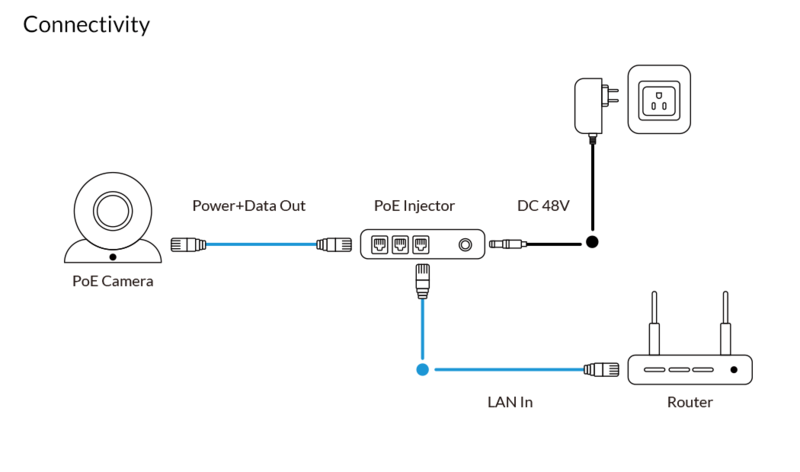 easy to install, plug and play POE. IR lights light up when dark, picture quality is excellent. only thing i wish is being able to turn camera angle side to side. (not just up/down/rotational) so i had to install camera in a rotated position to angle it at where i needed it to capture. Thank you so much for taking the time to write such a nice review, and we are so glad to know you like it. 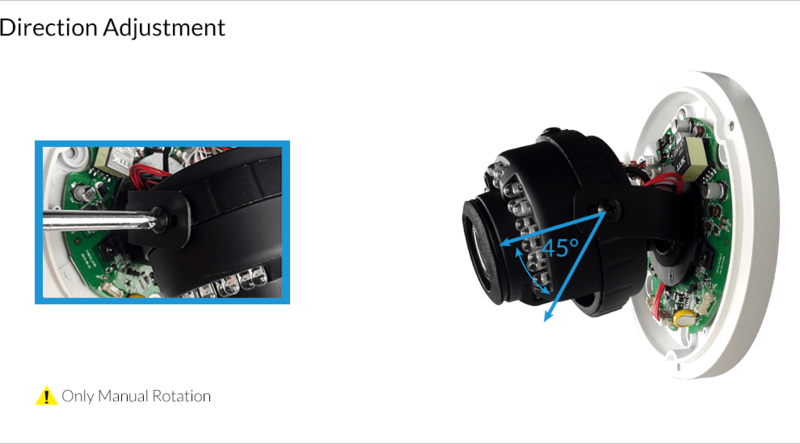 Currently the camera cannot be turned left/right due to the hardware limitation, we will forward your request to our product manager. Will this camera install onto a standard round outlet box? I was thinking of installing 3 1/2″ round ceiling boxes into my soffit on my house then attach the camera directly to them. Hi Miles, this is a PoE camera and users always use the PoE ports as the power supply for it. For the standard round outlet box, you may contact support@reolink.com and they’d give you the installation suggestion. -alert triggered when camera switch to night mode every day -> send email. -alert triggered when adjusting the zoom. Hi Alexis, thanks for your review and sorry for the inconvenience. The light changing and zooming indeed trigger the motion alerts. For the other users’ permission, you may send email to support@reolink.com about your suggestion and demand. Then they’ll help you to check it. Thanks in advance for your patience and understanding. Hi, I’m evaluating to purchase RLC-422. Can it be installed on the wall (instead of ceiling)? Yes,you may also refer to: /faq/mount-reolink-ip-camera-rlc-422/. We produce security software, and hardware systems. – Support always answer thinking you are an idiot, also provinding proactive documentation. – They have always right, always! also in front of evidence. – If you provide techincal proof information and evidences about the latest firmware does not support ambience audio anymore, they answer “the problem does not exist”, and updates technical specification removing audio support. – If you provide techincal proof information and evidences about a firmware bug, instead of collaborate to solve, they say “the problem it’s on your computer”. – If you provide techincal proof information and evidences about registration or live views delay (normal for the 10/100mbit used interface and firmware bugs, that can be solved), instead of collaborate to solve, they say “the problem it’s on your computer”. – If you trying to resell product worldwide, you can’t have a price best than amazon, and it’s nearly +30% finished. You have to buy on amazon. – techincal specification changes, independently, about firmware bugs and about what reolink change the way to support features, one day you have a feature, the day after you haven’t. – If you contact support about disappeared feature, you have the first week of answer made by old screenshot of the firmware, or theclient where they demonstrate you are stupid. Your email rarely it’s read entirely. – Professionality and Responsability it’s on a totally different planet. Damn. – Does not want to collaborate to make their products best, or fix bugs, they only want to sell, and make a support “mirror” to resend all to the sender. – Can be a good company we great products, but lack on Professionality and Responsability at maximum levels. I just installed this camera. Why is it always on night vision mode (black and white) even in the day time? I’ve upgraded the firmware and it still looks the same way. Hi Kennieth, please confirm if you used the correct firmware file for the camera, also you may contact the support@reolink.com and they will help you to solve it. Any plans to release a wireless version of this camera? Thanks very much for your support on Reolink products. Currently there is no plan to release a wireless version of this model. We will collect all your suggestions and give the feedback to our R&D team. We will update you once there is any new info. The RLC-422 is a 4MP camera with 4X optical zoom, it allows you to zoom in the picture and see more details. The video and picture quality is very good. For any further help, please feel free to contact our support team, they will be very glad to help. Are your RLC 422 and RLC 420 cameras water proof ? Easy and fast setup wit QR code.The camera connected instantly to my network and got an IP address. This is my first IP POE surveillance camera . I am not very experienced with security systems so this is easy. i use the pc app and mobile app(android) en everything work great. I will buy more cam to finish my home setup! The 5MP version is very good. An improvement suggestion: With sound, it would be optimal. I recently bought 3 RLC-422’s and couldn’t be happier with the price and performance. I was surprised with the high quality feel and metal construction of the cameras. The Reolink software is very user friendly both on the phone and windows. Plus the cameras are ONVIF so they connected with my NVR. I pre-ordered the RLC-423WS and switching over all my camera’s to Reolink. I have two of these mounted on my house running against a Synology NAS and not only do they look top professional – they work great too. Excellent image quality and very robust design / housing. Note: the included sticker to drill holes after is mirrored if you stick it to the ceiling. For the screws it doesn’t matter as they are symmetrically placed but pay attention when drilling the hole for the cable – it’s actually in the opposite side. I think the designer didn’t consider most people likely stick in to the ceiling and drill upwards. Had I put it on the floor above the ceiling and drilled downwards the cable hole would be placed correctly (but that’s not where you normally would drill holes for the screws). Great camera. Easy to setup. Good quality. Perfect with only one cable. end each person to use one suitable for him. I installed the RLC-422 (5MP) camera a couple weeks ago. It’s been working great. Setup was pretty easy and just took a bit to tweak the settings for recording on motion for the areas of view I wanted. I started with a 8GB SD card which covered 3 to 4 days of recording. I just bumped it up to 64GB without any trouble. I think the SD card capability is a huge plus for this camera but isn’t advertised much in the literature. It would be nice if future versions would include the ability to adjust side-to-side and just not up and down. I installed with one screw first so I could swivel the view to where I actually liked it and completed mounting from there. Zoom is neat but not very useful since it zooms to the center of the screen which ends up being my bushes. If you want the zoom to be useful make sure the camera is aimed accordingly during install. The only other downfall was that it took 2 weeks for the camera to arrive when ordering direct through Reolink. Might have been faster by ordering though Amazon if they have it in stock. I’m a bit concerned that so many cameras currently show Out of Stock. I’m considering ordering at least one more camera but concerned about stability of company with the extensive shortages of product. Hopefully that is resolved soon since I really like the product.